A detailed interview and a glowing review are just the latest to spotlight Eddie Pattillo’s unique book of history, Carolina Planters on the Alabama Frontier. Here, Pattillo, an Alabama historian, reproduces his ancestors’ letters from the seventeenth through nineteenth centuries, painstakingly collected alongside Pattillo’s own copious research, to give an unprecedented glimpse of early American life. Writer John Sledge of the Mobile Press-Register called Carolina Planters “magnificent” in a review in his “Southern Bound” column. Sledge raves that the letters from the Spencer, McKenzie, and Roberson family in the book are “so beautifully expressive in their writings and so immersed in the issues of their day that their story is not only entertaining and instructive, but nothing less than a history of the antebellum South in genealogical microcosm. 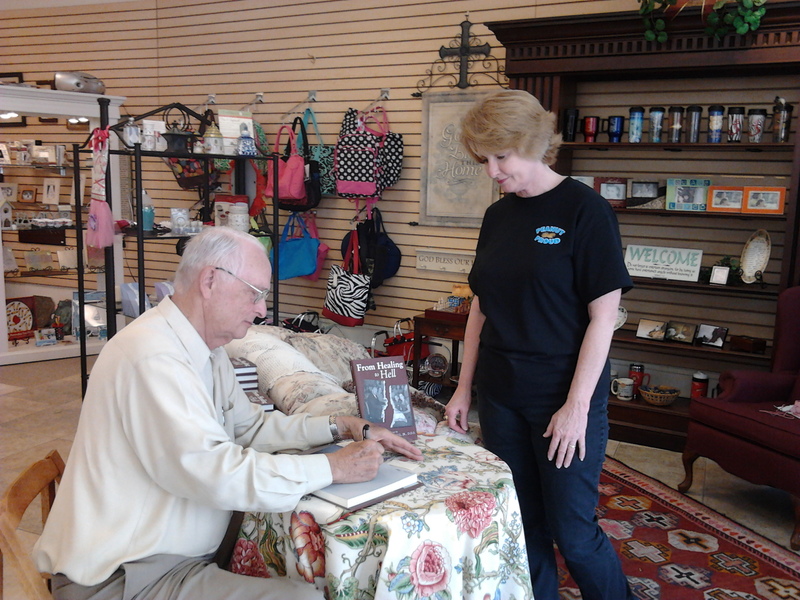 Pattillo discussed the book himself recently on the Walter Edgar’s Journal show on South Carolina’s ETV radio. Pattillo grew up hearing how his ancestors had come to Alabama from South Carolina; in 1850, Edgar notes, half of white individuals in US census who listed South Carolina as their birthplace lived elsewhere, part of the country’s western expansion in the nineteenth century. When Pattillo graduated high school, he travelled to South Carolina to research family history. and there found the family letters that form the basis of Carolina Planters. Read John Sledge’s “Southern Bound” column at the al.com website. You can also download Eddie Pattillo’s interview with Walter Edgar at the Walter Edgar’s Journal website. 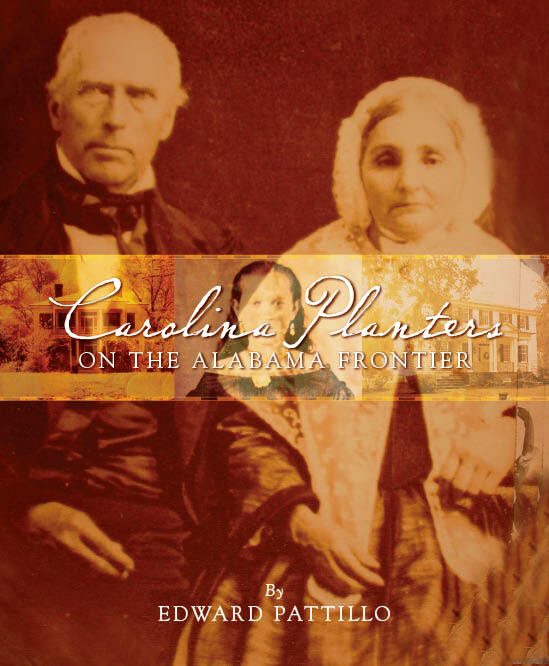 Carolina Planters on the Alabama Frontier is available direct from NewSouth Books, Amazon.com, or your favorite bookstore. On the anniversary of the sinking of the Titanic, professor Julie Williams (A Rare Titanic Family) examines how the effects of the disaster have traveled through years to affect generations of her family. When my husband and I married, he was astonished to see that I owned a photo of my great-uncle, Albert Caldwell, on the deck of the Titanic. In the photo, Albert stands in a shadow, holding his baby son, Alden. Albert’s wife, Sylvia, stands beside them, propping her arm on the ship’s railing and glancing at the baby to make sure he’s happy. Albert had owned the rare photo, and it came to me when he died in 1977. I still love the Titanic, but after an intense couple of years of researching and writing my great-uncle’s story in A Rare Titanic Family, I can now see what my husband was worried about. I can see now that our entire family has been pulled through time by the Titanic, just as my great-uncle was. The ship has us and won’t let go. Not that I want it to. One hundred years ago this weekend, the Caldwells stumbled into history as they reluctantly agreed to get off the Titanic and onto Lifeboat 13. And they have reached across time to bring so many of us with them. It’s been an interesting hundred years. Although the ship sank in 1912, it never loosened its grip on the Caldwells. Albert and Sylvia tried to rebuild their lives but found the Titanic was forever part of their identity. Albert went on the Chautauqua circuit in 1912 and got rave reviews for his lecture on the Titanic. Sylvia wrote a booklet, Women of the Titanic Disaster, which she sold by subscription. Both were interviewed and gave lectures on the ship across many decades. The Titanic glowered over Alden as he grew up. He wanted a job with the US government when he graduated college in the Depression. But his birth records had gone down with the Titanic, and he couldn’t prove he was an American. Thus, he couldn’t get the job. He got another. Years later he was about to retire and still couldn’t prove he was an American – and therefore couldn’t qualify for Social Security. Albert had to make out a lengthy affidavit, and Alden at last was granted his citizenship. Albert thrived in the brilliant spotlight of the Titanic. He loved talking about the Titanic to clubs, churches, and anyone who invited him to. He gloated about being part of the advertising scheme for the movie The Unsinkable Molly Brown in 1964 (he got to ride around in a car with star Debbie Reynolds). By the time Albert died at age 91, he had given the same speech about the Titanic and the same interview for almost 65 years. But the Titanic was not done with the Caldwells yet. Not long ago someone sold a watch at auction in London, claiming the Caldwells had used it to bribe their way off the Titanic. Although all available evidence has skewed against that allegation, it’s remarkable that the ship still hangs over them. Nor was the Titanic done with Albert’s descendants. My mother and her cousins loved the story and passed around a now-treasured copy of Albert’s speech. One cousin thought to tape Albert telling about the Titanic. My parents invited Albert to speak about the Titanic to a huge gathering of our friends. The adults made sure we children understood Albert’s interesting place in history. I was deeply fascinated with the Titanic story told by Albert. I told and retold the story to my friends, whether they wanted to hear it or not. Eventually I majored in history and became a media historian. I made my journalism students conduct interviews about the Titanic. I named my own son Alden. Albert’s story was so much a part of me that I eagerly jumped on the chance to write A Rare Titanic Family, which I thought was going to be a straightforward biography of the Caldwells on the Titanic. Piece of cake, I thought. By the time I was finished, however, I realized I had hardly known their story at all. To my shock, I discovered that the Caldwells were in a cat-and-mouse chase around the globe – with themselves as the mice – as they fled from their employer. The Titanic was the dramatic last leg in their frantic rush to go home. These were things that Albert had kept mum for all those 65 years. It was both a delight and a shock to uncover the story he had never told us. So after 100 years of the Titanic, I have a completely new perspective on the story that I thought I knew so well, the story that has been recounted faithfully by my family for three generations now. It’s a story even my reluctant husband now loves. I love how history is never static. It always changes. Albert Caldwell’s Titanic story has certainly made that lesson clear. 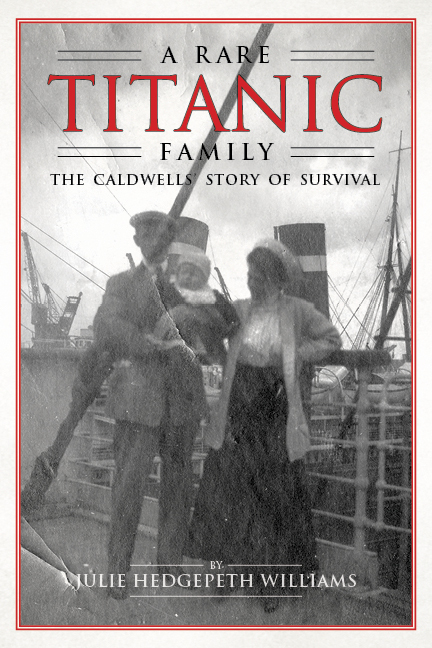 A Rare Titanic Family: The Caldwells’ Story of Survival, Julie Williams’s account of her great-uncle and his family’s survival of the Titanic disaster, is available in print and ebook direct from NewSouth Books, Amazon, or your favorite bookstore. In celebration of National Poetry Month and in anticipation of the 2012 Alabama Book Festival, a 24-hour poetry marathon will be held April 19–20 in downtown Montgomery. Any interested poet may participate by reading her/his own work or that of another poet, or both. Get on the list to read by calling 334-834-3556 or by sending an email to noelle@newsouthbooks.com. The event is co-sponsored by NewSouth Books and the Village Gallery, at 105 and 107 South Court Street, respectively, at the corner of Court and Washington, just one block south of Court Square Fountain, and by Cool Beans at the Cafe d’Art, a block west of the fountain at 115 Montgomery Street. The event will begin Thursday, April 19th, at 6 p.m. at the NewSouth Bookstore. At 8 p.m. it will move next door to the Village Gallery. Around daybreak on Friday morning the reader for that time slot will move to Court Square Fountain for reading as the sun rises over the Alabama Capitol. At 6:30 a.m. the event will move to Cool Beans for a caffeine jolt, then back to the NewSouth Bookstore, and the last reader will end at 6 p.m.
On Friday evening, April 20th, the Alabama Book Festival will have its opening reception for the writers who will be on the program Saturday, April 21st. A full poetry track will be featured at the Festival, 10 a.m. to 4 p.m. (gates open at 9 a.m.), at Old Alabama Town (Hull and Jefferson streets, six blocks northeast of the fountain). 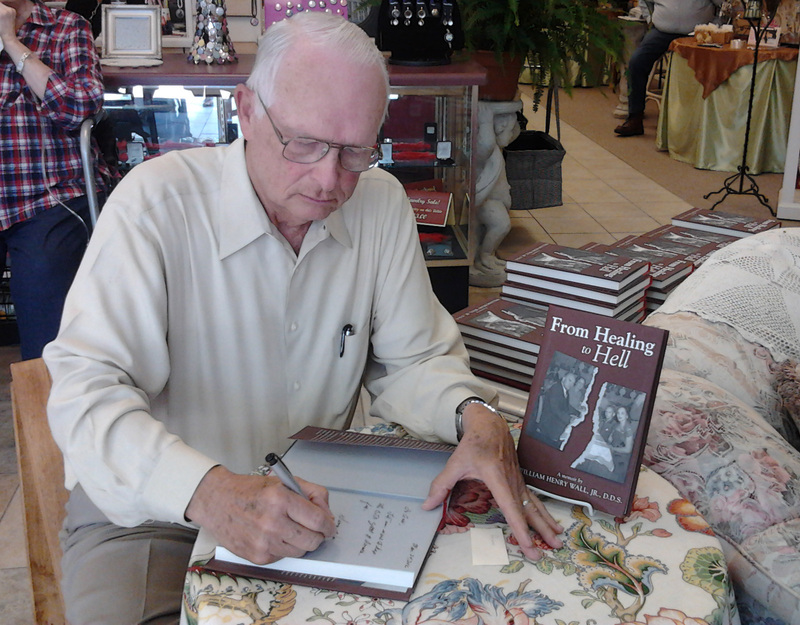 Dr. Henry Wall signed his family story From Healing to Hell at the 3 Diamonds bookstore in Blakely, Georgia, during the March 24 Peanut Proud Festival. In From Healing to Hell Wall tell show his father, former Georgia state senator and physician W. Henry Wall, was arrested on federal drug charges and involuntarily subjected to the CIA’s infamous MKULTRA drug experiments. Wall’s father’s trauma and flashbacks affected the entire family, and Wall recounts both his family’s struggle and his own work to clear his father’s name. Much of Wall’s story takes place in his hometown of Blakely. Peanut Proud is an annual event held in Blakely’s historic Courthouse Square. Visit 3 Diamonds online at 3dcbs.net. 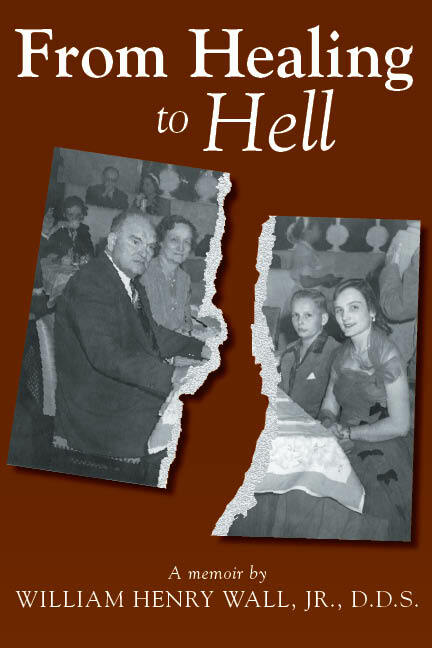 Henry Wall’s From Healing to Hell is available from NewSouth Books, Amazon, or your favorite bookstore. You are currently browsing the NewSouth Books weblog archives for April, 2012.